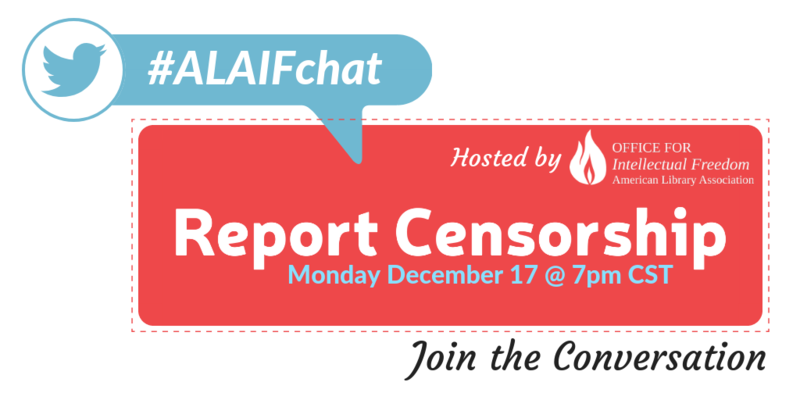 In addition to bringing your questions and thoughts to this first ever ALA Intellectual Freedom Chat (#ALAIFchat) on Monday evening, December 17 at 7 p.m. CST, please comment below if there are specific questions you’d like us to address. Use the hashtag #ALAIFchat to participate. While the focus will be on reporting censorship in libraries, schools, and other public organizations, anyone is welcome to join us to learn more about how the American Library Association tracks bans and challenges to materials and resources and why it is so important to support the freedom to read and speak out against censorship. 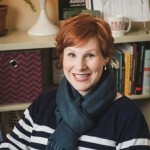 Kristin Pekoll is the Assistant Director of ALA’s Office for Intellectual Freedom. Kristin communicates with state library associations on current book challenges and publications that deal with censorship, privacy, ethics, and internet filtering. She organizes online education and training on the freedom to read and how to navigate reconsideration requests and media relations. Kristin started her career as a youth librarian in West Bend, Wisconsin. In 2009, over 80 YA LGBTQ books were challenged over 6 months. While the library board voted to retain all of the books in this case, she learned the indispensable value of support and education for librarians. She continued to fight against censorship in Wisconsin as the Intellectual Freedom Round Table Chair. Kristin’s husband and kids have joined her in Chicago but they all remain true Green Bay Packers fans. She enjoys zombies, knitting, and the Big Bang Theory. Find her on Twitter @kpekoll.